Saturn is important planets for your life, its position in your horoscope describes everything. If Saturn has conjunction with any other planet, it can create problems. Here is astro upay which tells how to remove conjunction between Saturn and other planets for peaceful life. 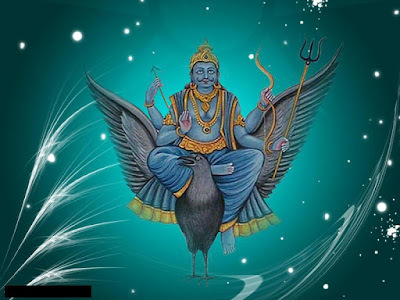 Saturn-Rahu: This conjunction creates ups-downs in life. People face financial and social problems. They might face hidden diseases and it cannot be detected. In these cases, do not wear black color clothes. Light four face lamp of mustard oil under peeple tree on Saturday. Mix gaumutra in bathing water and take bath. Donate mustard oil on Saturday. Saturn-Moon: This conjunction makes person drunker. He has habits of alcohol and drugs. Sometime, he may get company of bad people and does crime. A person might get depression and does suicide. In this case, you should do fast on Monday. Drink only milk and water on this day. Chant “Om Juhu Saha Mam Palay” hymn for 108 times every morning. Donate medicines in hospitals on Saturday. Offer sugarcane juice to lord Shiva on Monday. Saturn-Sun: This conjunction gives less success even if a person do hard work. A person cannot get happiness from father. It also affects marital life. A person might get bone and neuro problem for long time. In these cases, offer water to the Sun every morning. Pour water on peeple tree on every evening. Eat jaggery after doing brush in the morning. Chant “Om Suryaputray Namah” for 108 times. You should eat food in copper vessels. Remedy: Do not use black color ink pen if Saturn is impaired. Otherwise, struggle increase in life and you may face losses.